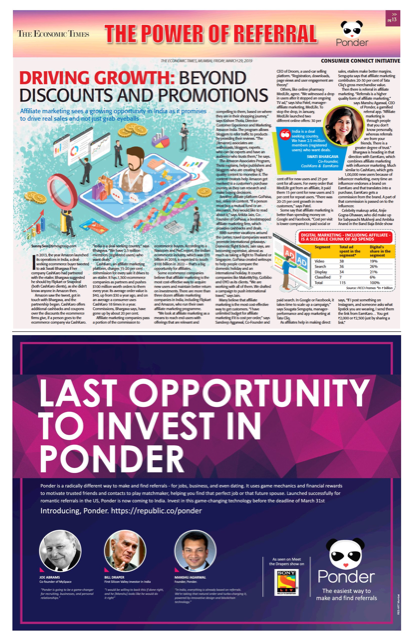 Ponder uses game mechanics and financial rewards to make matchmakers out of everyone. Help start the referral revolution! Less than 2 days left to invest in Ponder on @joinrepublic! Help start the referral revolution! Only THREE days left to invest in Ponder on @joinrepublic! We are extremely excited about revolutionizing the business referrals sector which is worth $70 BILLION!